Let’s consider what, in business terms, can constitute a disaster. Sure, things like hurricanes and blizzards come to mind, perhaps even fires in the datacenter, but a disaster is more than just a weather phenomenon or catastrophic loss; it’s anything that significantly disrupts the normal operations of your business. If we limit ourselves to an IT perspective, that can include prolonged Internet outages, a severe flu epidemic that takes out half the staff, a virus that shuts down key servers, or a SAN failure. It can also include HVAC failures, power outages, or hardware failures on critical, but not redundant, systems. Anything that causes a significant and protracted impact to normal operations may be enough to declare a disaster situation, and require that you implement your recovery plan. In the best case disaster, you have experienced a hardware failure that will eventually be corrected by the vendor. But while systems are down, your phone is ringing off the hook, you’re getting pinged on email and IM, and someone is probably sticking their head in your cube every 30 seconds asking if it’ fixed yet. In the worse type of disasters, you and your colleagues are probably more worried about your family and your own property more so than the company’s, and that’s assuming all your team even made it into the office. Hurricanes, blizzards, and other region impacting events can leave you with only a skeleton crew, and most of them are going to be worried about more than just how to get the website back online and email working. That’s why you want to work the plan. c) Someone can audit that each step was done. Paper checklists also have the distinct advantage of not relying on technology. I once saw an organization who kept all their DR procedures online; which looked great until they couldn’t get to them while the datacenter was down! Disaster recovery planning is an ongoing process. Plans must be tested and revised as the company grows, new systems are brought into the environment, and old systems are deprecated. Real disasters don’t happen on schedule, so training must be thorough and testing must be performed to ensure that whoever is on the clock can handle the early steps of the process until more people can get online. Staffing changes will mean that this must happen frequently, and repeatedly. It’s just a part of the overall process, so accept it. And make sure that at least two people know how to perform any part of the disaster recovery plan since you have no way to know in advance whether everyone will be able to make it into the office when a disaster strikes. Redundancy of equipment is no more important that redundancy of skillsets, and a single point of failure could be the one guy who can’t get into the office because the roads are closed. This article was written by Casper Manes on behalf of IT Channel Insight, a site for MSPs and Channel partners where you can find other related articles on how to setup a disaster recovery plan. This entry was posted in DRP and tagged Disaster Recovery Planning, DRP, LinkedIn on January 7, 2012 by peterhgregory. If this is the first time this has crossed your mind, there’s precious little you can do now but kiss your systems and hope that they are still running when you see them again. The storm surge is supposed to exceed 20 feet, which will prove disastrous to many businesses. But when you get back to the workplace and things are back to normal (which I hope is not too long), start thinking seriously about disaster recovery planning. A DR project does not have to be expensive or take a lot of resources, and it’s not just for large businesses. Organizations of every size need a DR plan: the plan may be large and complex in big organizations, but it will be small and manageable and not be expensive to develop. Where do you begin? At the beginning, of course, by identifying your most critical business processes, and all of the resources that those processes depend on. Then you begin to figure out how you will continue those processes if one or more of those critical resources are not available. The approach is systematic and simple, and repetitive: you go step by step through each process, identifying critical dependencies, figuring out how to mitigate those dependencies if they go “offline” at a critical time. Order yourself a great book that will get you started. As one reviewer said, “It would be tempting to make all sorts of snide comments about a Dummies book that wants to take a serious look at disaster recovery of your IT area. But this is a Dummies title that you’ll actually go back to a number of times if you’re responsible for making sure your organization survives a disaster… IT Disaster Recovery Planning for Dummies by Peter Gregory. It’s actually the first book on the subject that I found interesting *and* readable to an average computer professional….” read the rest of this review here and here. Don’t put this off – but strike while the iron is hot and get a copy of this now. Don’t wait for the next hurricane to catch you off-guard. I don’t want to see any business unprepared and fail as a result of a natural disaster. If it were up to me, disaster preparedness would be required by law, but instead it’s a free choice for most business owners. I just wish that more would choose the path of preparation and survival, but unfortunately many do not. I wrote IT Disaster Recovery Planning For Dummies to help more people understand the importance of advance disaster recovery planning and how easy the planning process can be. 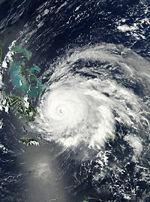 This entry was posted in DRP, Tips and tagged Disaster Recovery Planning, DRP, hurricane ike, peter h. gregory on September 11, 2008 by peterhgregory. SEATTLE, Wash., September 5, 2008 – Technology author Peter H. Gregory’s 18th published book, IT DISASTER RECOVERY PLANNING FOR DUMMIES (John Wiley & Sons; $29.99; December, 2007), is receiving rave reviews from industry experts and professional reviewers. The book is now available in electronic form on Amazon’s Kindle book reader. 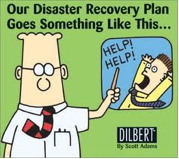 IT Disaster Recovery Planning For Dummies is now available in Amazon’s Kindle electronic format. This will enable owners of the popular Amazon Kindle to purchase the book at a reduced price and have an electronic edition of the book (and hundreds of others) readily available. “Not only will this make the book more convenient for people to read, but having an electronic edition could be especially handy during a disaster or other emergency situation,” cites Peter H. Gregory, author of the book. “When offices are shuttered or unreachable, this and other important books can be pre-loaded on Kindle readers and available as back-up references for emergency planners and responders,” he adds. IT Disaster Recovery Planning For Dummies is available in paperback form at local book dealers, and also from online dealers such as Amazon, Barnes & Noble, and Borders. It is available as an e-book directly from the publisher, John Wiley & Sons, as well as for Amazon Kindle. Peter Gregory, (Graham, WA) CISA, CISSP, is a security and risk manager for a financial services organization and the author of twenty books on security and technology. Peter Gregory is a career security professional with experience in the government, banking, nonprofit, e-commerce, and telecommunications industries. He serves on two boards of advisors for information security certificate programs for the University of Washington, and on the board of directors for the Evergreen State chapter of InfraGard, a partnership between the U.S. Federal Bureau of Investigation and the private sector. This entry was posted in DRP, Press Releases and tagged Disaster Recovery Planning, kindle on September 5, 2008 by peterhgregory. Many businesses, particular those that have less than one thousand employees, think that disaster recovery planning is something that is too difficult or too expensive to undertake. Another response is that of the avoider: it won’t happen to me. These assumptions have been perpetuated to the detriment of many businesses that unnecessarily failed. Disasters come in many forms. 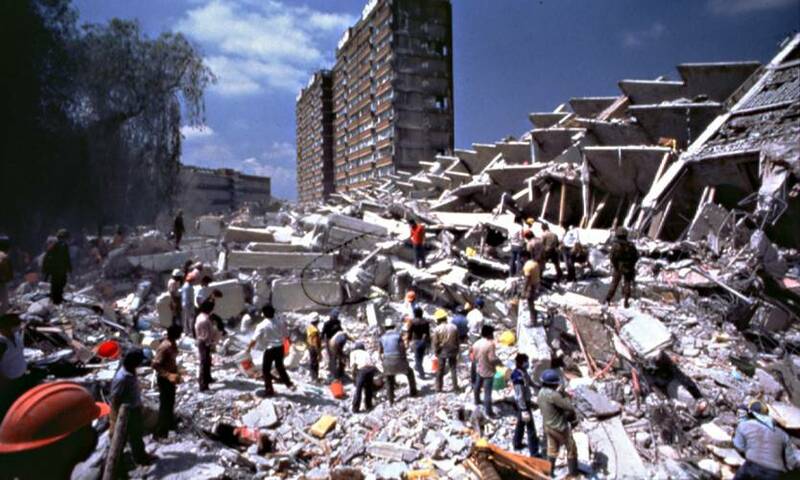 Most people think of massive earthquakes and hurricanes. However, there are hundreds of disasters that occur on a regular basis, but they’re too localized and small to make the news. And not all disasters are ‘acts of nature’: there are many man-caused disasters that occur on a regular basis that cripple businesses just like acts of nature do. Disaster Recovery Planning need not be expensive, and most businesses can (and should!) get started right away with even a small amount of planning that could prove highly valuable, in case the unexpected occurs. Get the book, build the plan! This entry was posted in DRP, Tips and tagged BCP, business continuity planning, disaster, Disaster Recovery Planning, DRP, peter h. gregory, small business on June 28, 2008 by peterhgregory. Disaster Recovery is not simply about Katrinas nor earthquakes nor 9/11 catastrophes. Sometimes, the focus on these monumental events could intimidate even the most committed IT manager from tackling Disaster Recovery Planning. Disaster Recovery is really about the ability to maintain business as usual – or as close to ‘as usual’ as is feasible and justifiable – whatever gets thrown at IT. This entry was posted in DRP, my books, Quotes and Excerpts and tagged Disaster Recovery Planning on February 15, 2008 by peterhgregory.